Self-service frozen yogurt shops also appeal to consumers’ desire for customization. It allows do-it-yourself mixing of different yogurt flavors and toppings with complete control over quantity. 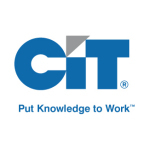 NEW YORK--(BUSINESS WIRE)--Large and middle market restaurant companies, as well as franchisees of top-tier brands, have ready access to capital, but franchisees of smaller brands are finding it more challenging to secure debt financing, according to Bob Bielinski, Managing Director of CIT Corporate Finance, Retail and Restaurants at CIT Group Inc. (NYSE: CIT) cit.com, a leading provider of financing and advisory services to small businesses and middle market companies. Bielinski provides an overview and outlook for the U.S. restaurant sector in “2013 Restaurant Sector Update” (cit.com/bielinski), the latest in a series of in-depth executive Q&As featured in CIT’s Executive Spotlight series (cit.com/executivespotlight).